Are you an owner of a digital agency or a creative design studio? Do you want to represent your services to a wide audience? 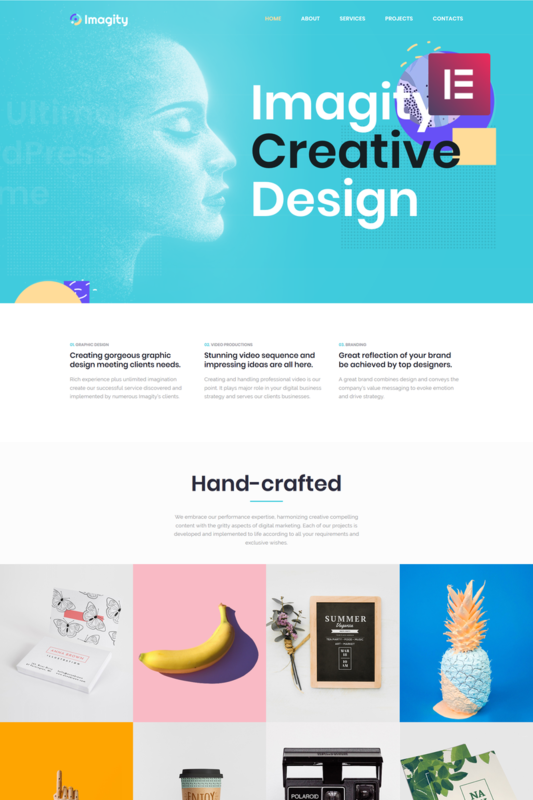 Imagity Creative Minimal WordPress theme is an important element then. Create an attractive site, with a help of which your agency will become more popular. 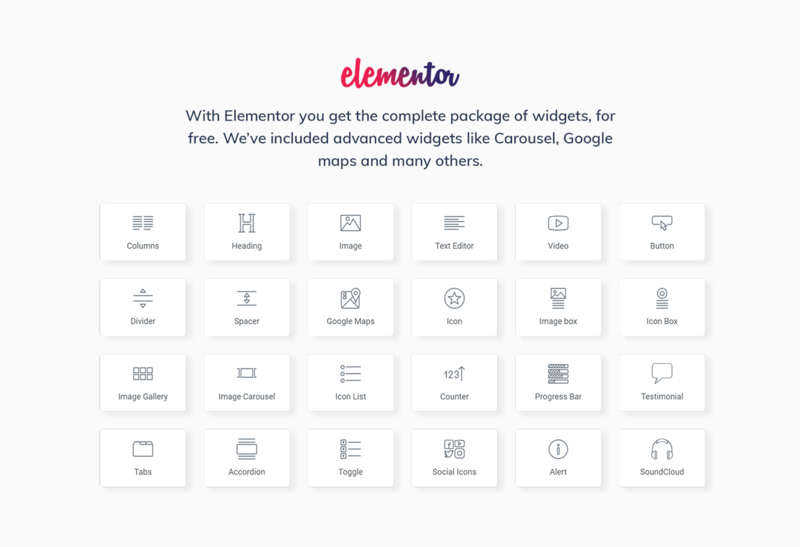 A colorful design and a rich functionality are the main advantages of the theme. 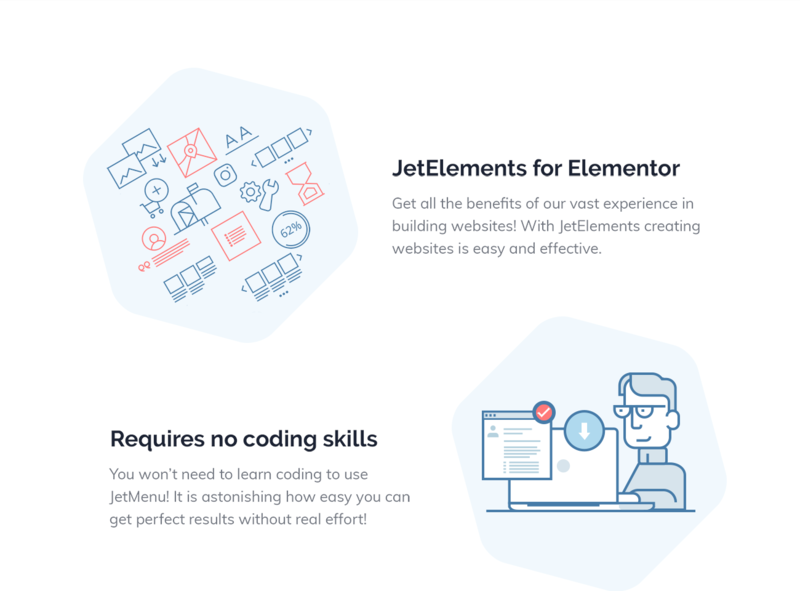 Imagity is provided with Jet plugins set, which will be helpful by enriching your site with informative blocks and elements in Elementor editor. With JetElements plugin you will be able to add special items and apply attractive style settings to them. A top-notch JetMenu plugin will help to build a fully responsive mega menu with drop-down sections and decorate it according to your vision. You will structure the content in smart tabs and accordion blocks using JetTabs plugin. Add blog posts on relevant topics and display them in the most stylish way with JetBlog plugin. It will be easy to showcase your clientsâ€™ valuable reviews via JetReviews plugin. 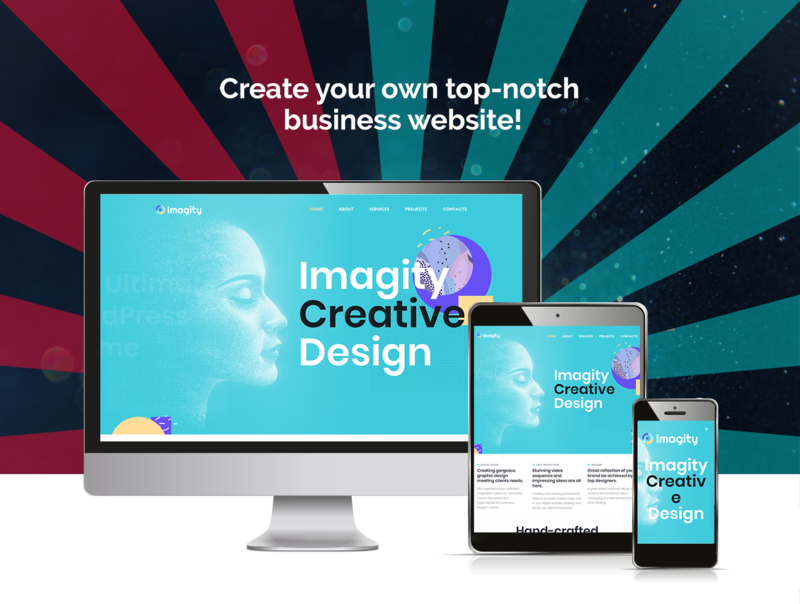 Your site will become modern and competitive with Imagity WordPress theme. Elementor Visual Editor does give you great control over editing. It doesn&#039;t come with Parallax though, and requires a code snippet plugin if you want that effect. It&#039;s also very &#039;memory hungry&#039; and I found even with the recommended 256MB memory limit, it wasn&#039;t enough and I had to move hosting providers to accommodate the huge memory requirements.